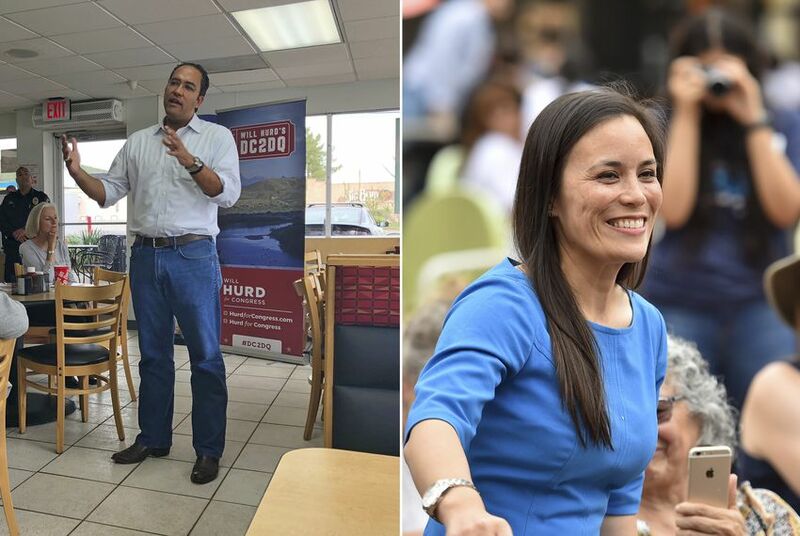 U.S. Rep. Will Hurd, R-Helotes, is looking to hold on to the 23rd District once more as Democrats argue he is not as much of an outlier in his party as his image suggests. His opponent this time is Gina Ortiz Jones, a former Air Force intelligence officer. 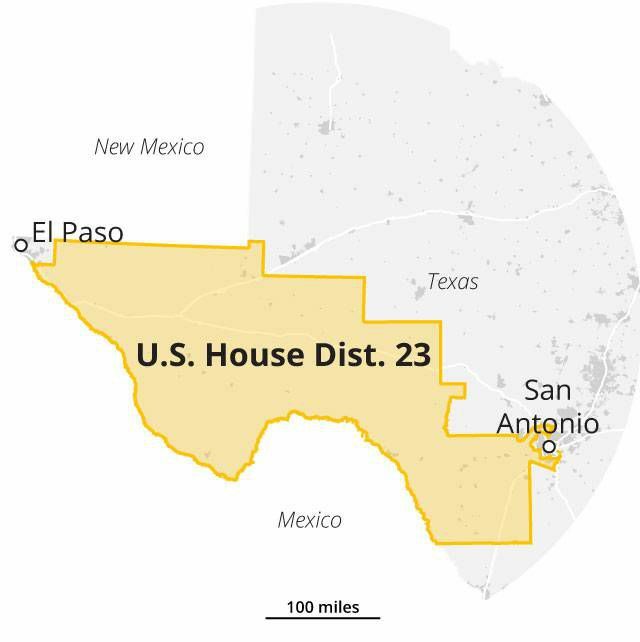 VAN HORN — Two years ago, U.S. Rep. Will Hurd, R-Helotes, survived a grudge match against his Democratic predecessor to become the first congressman to win re-election to this perennial swing district in eight years, carrying it by some 3,000 votes while Hillary Clinton won it by about 8,000. Two years later, Hurd has emerged as arguably the most prominent Republican from Texas willing to split with Trump — or at least strike a different tone — on some key issues, including immigration and Russian interference in the 2016 election. It is a profile that has earned him national attention and bipartisan plaudits — and it has only hardened Democrats' resolve this November to try to puncture the image he has crafted as a different kind of Republican. “It’s going to be difficult to make that case because we’ve been proving our independence for three and a half years,” Hurd said defiantly during a recent interview in Alpine as he traveled the district. Taunting his Democratic critics over what he described as a tired attack, Hurd added, “Keep doing it." Ping-ponging between Democratic and Republican control before Hurd won re-election, the 23rd District is famously fickle and was viewed as the only true swing district until this cycle. In November, two other GOP-held districts in Texas — the 7th in Houston and 32nd in Dallas — are newly in play after Trump narrowly lost them in 2016. A map of Texas Congressional District 23. Since his re-election, the spotlight on Hurd has only grown. He became known to many outside Texas for the first time last year when he teamed up with a Democratic colleague, U.S. Rep. Beto O’Rourke of El Paso, to go on a road trip from San Antonio to Washington. In the House, he has banded with other moderate Republicans to push for a permanent legislative solution for “Dreamers,” or young people brought to the country illegally as children. And he has spoken out against Trump on a number of issues, more recently slamming the president in a New York Times op-ed for failing to stick up for the U.S. intelligence community and letting himself be "manipulated" by Russian President Vladimir Putin during their July summit. Jones sought to quash the fanfare surrounding the op-ed by pointing out, among other things, that Hurd missed a House Intelligence Committee vote after the summit where he could have pushed to subpoena the summit translator, a move the Republicans present blocked. To Democrats, it is rebuttals like those that they believe they must hammer nonstop to undermine Hurd's turns in the spotlight as an independent voice. Democrats have a counterpoint ready to go for every supposed act of independence by Hurd, but no topic has drawn fiercer claims of hypocrisy than health care. Jones, who has called it the No. 1 issue in the race, is slamming Hurd for voting eight times to undo former President Barack Obama's signature health law prior to breaking with his party last year to oppose its repeal-and-replace effort, which narrowly passed the House but died in the Senate. To be clear, Hurd is also playing offense. He has seized on comments Jones made during the primary expressing openness to another round of Base Realignment and Closure, the process by which the military assesses its base structure that requires congressional approval. Her position drew fire from primary opponent Jay Hulings, who likened it to "playing Russian Roulette with people’s jobs" in San Antonio — Military City USA — and whose criticism now factors prominently into a minute-long TV ad from Hurd. “To even allow it to go forward with the potential to have such a debilitating effect on our communities," Hurd said in the interview, "is unacceptable." Afterward, Charlie, who declined to provide his last name, told reporters he was undecided in the election. While he liked Hurd, Charlie said, he found Jones just as strong on the environment — and unlike with Hurd, he knows for sure her party would prioritize the issue. Jones also encounters the blurred political lines in the race. Fielding questions earlier this month at a meeting of the Boerne Area Democrats, Jones heard from a woman who expressed exasperation with the mail she was receiving from Hurd touting his support for Medicare. "Is he running as a Democrat? It's so confusing," the woman said. "How can we expose the hypocrisy?" Jones said she felt the woman's frustration — and directed her to a website her campaign had already set up: HurdsHypocrisy.com. Unlike in 2016, the race is unfolding this cycle in the shadow of an action-packed U.S. Senate contest — and it has created some tension in the 23rd District.